Laura believes travel is the only thing in the world that you can buy that makes you richer. She loves to share inspiration and help people experience trips that truly enrich their lives. 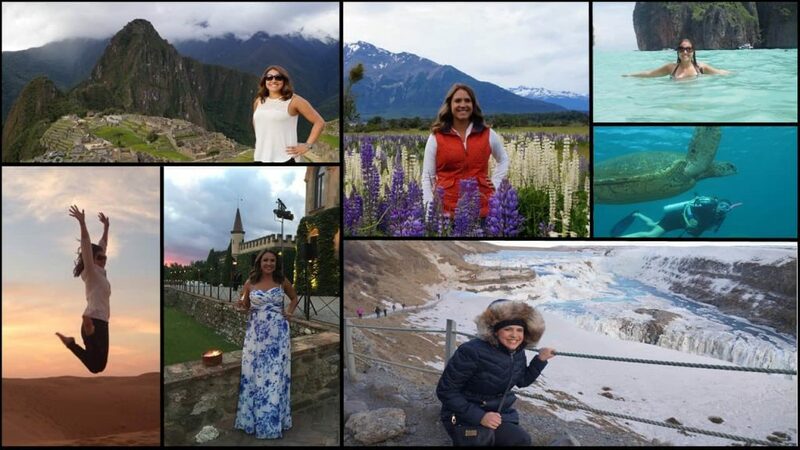 Laura’s travels have taken her around the world, she has visited more than 50 countries and her bucket list grows longer every day. Laura is a native Austinite, but has lived for a number of years in New York, Los Angeles & London. She’s also spent extensive time in Aspen, Paris & Australia, living in those destinations for months at a time. Laura has ten years of experience in the travel industry and during her career Laura has toured thousands of Luxury hotels. Laura managed hotel relationships in the United Kingdom, Caribbean, Mexico, New York, California, Oregon, Colorado, Texas, Louisiana & Arizona and has extensive knowledge of properties, activities and restaurants in those markets. She enjoys scuba diving, hiking, biking, skiing, tennis, spas, all types of boats, food & wine trips. Laura’s favorite travel experiences are all over the map, literally and figuratively. Laura has gone scuba diving in the Galapagos Islands surrounded by Hammerhead sharks, wine toured through Tuscany, hiked across a glacier in Patagonia, chased after leopards in South Africa, discovered ancient ruins in Tunisia, explored the Amalfi Coast by yacht, drove a 4 wheeler around Santorini, toasted beers at Oktoberfest, went paragliding in Medellin, dove between the Eurasian and North American tectonic plates in Iceland, practiced yoga in Bali, gone sky diving in Australia and ridden an elephant through a rainforest in Thailand. Her most rewarding travel experience was volunteering at an orphanage in Malawi. She loves to work with sustainable tourism companies that give back to local communities. Marquis de Riscal in Spain, Sugar Beach in St. Lucia, Ham Yard in London, Arts hotel Barcelona, Pulitzer in Amsterdam, Four Seasons George V Paris, Gansevoort Turks & Caicos, Museum Hotel Cappadocia, Turkey.